Environments where families stroll along throughout the whole day with the projects of large shopping town, making shopping one of the most enjoyable moments in a day. In Turkey and in other countries with developed economies offering attractive investment opportunities, we are getting prepared for developing retail park projects for our customers to spend a whole day to enjoy with their families with easily accessible, large car park facilities hosting prominent retailers on over large-scale lands. 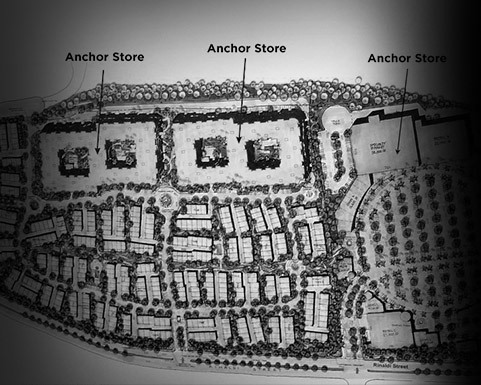 Only by discovering the most accurate commercial areas and making investments, creating shopping mall power hubs hosting several chain stores in any retail area in high square meters with large common car park lots alongside with easy accessible facilities having minimum three or more Big Box retailers and several small stores are among the investment strategies of our group. Shopping towns are bringing together both retailers and customers in line with their needs at the same time, in the same area and with the best prices and are offering novel, contemporary shopping concept. In the recent retail trends developing in the world, shopping towns confront with a great deal of attention of consumers. As in other fields, Gülaylar Group aims to zero in on sustainability and high standards in leveraging Shopping Towns based on the most successful world samples in this market.